The first ever Anna Canteen opened at Velagapudi near Secretariat is getting huge response from public. The quality and taste of the food is attracting people, with a cheaper prices. The items are being sold out just within one hour. The canteen has been a boon to thousands of poor families and migrant labourers working at the temporary secretariat. Idly for Rs. 1, Pongal, Tomato Bath and meals for Rs. 5 - NTR Canteen is leaving a deep impression on the visitors. By employing technology and process driven approach, Akshaypatra Foundation who have been entrusted with the job of managing the canteen are doing a terrific job to meet the needs. 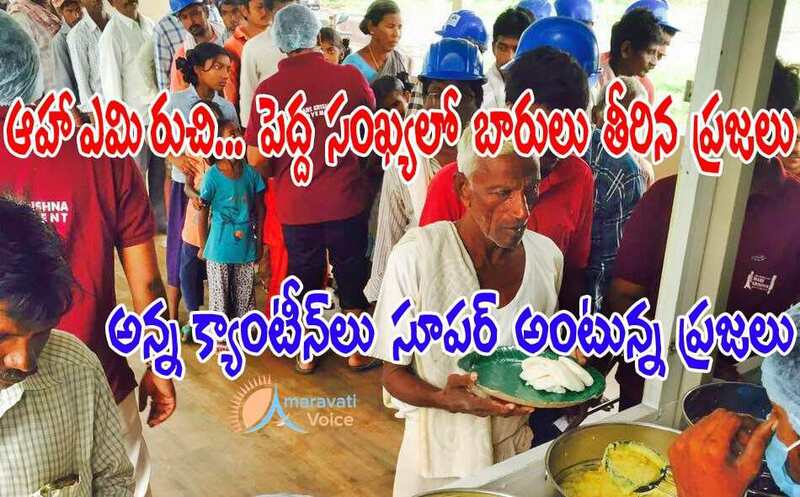 More NTR canteens will come up in the future and cater to the poor and eradicate hunger and malnutrition forever.